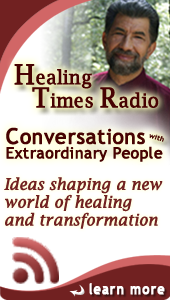 Michael Samuels, M.D., a physician, artist, guided imagery specialist, and author is one of the foremost experts in body, mind, spirit medicine today. His best selling books, The Well Body Book, Well Baby Book, Well Pregnancy Book were the first books in self-help and holistic medicine. 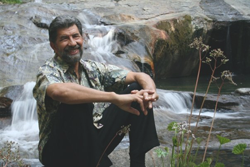 As a physician, he has worked with guided imagery and patients with life threatening illness for over 25 years. 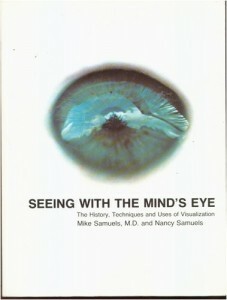 His book, Seeing With the Mind’s Eye was the first book on guided imagery and is the classic in the field. As Director of Art As A Healing Force, an organization which networks artists and healers, he is a leading expert on art, healing, creativity, and healing. The year was 1967, the place was San Francisco, and the time was one of enormous transformation in our culture. In the midst of that crucible of change were two young physicians, Emmett Miller and Mike Samuels, completing their medical training. There were no guided imagery or mindfulness programs around, no yoga, and no meditation in hospitals and clinics. The concept of stress was unknown. 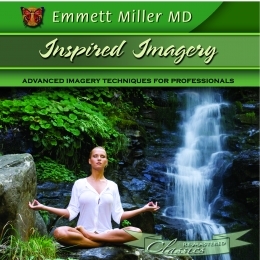 Within the next five years both these doctors had developed, separately, a holistic approach to healing and both had published books: Samuels’s Seeing With The Mind’s Eye on Guided Imagery, and Miller’s Selective Awareness on mindfulness and meditative techniques. 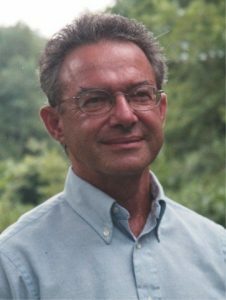 Samuels continued to explore a wide range of healing modalities to share with his patients and the readers of his 22 books, with an emphasis on awakening the healing power of spirit, the role of art in healing, and the integration of traditional and ancient healing techniques. This book opens the mind’s eye to the inner world – whether as memories, fantasies, dreams, or visions. Over 100 illustrations. This guided imagery audio program provides an overview of two forms of imagery, “little imagery” used to work with specific diseases and dysfunction, and “big imagery” used for a broader perspective that addresses the questions, “Who am I?” and “What is my relationship to the universe?” At several points during the presentation, listeners are led into inner experiences, with eyes closed. Whatever you’re dealing with, stress most likely has something to do with it. An estimated 90% of all illness and disease begins with stress. 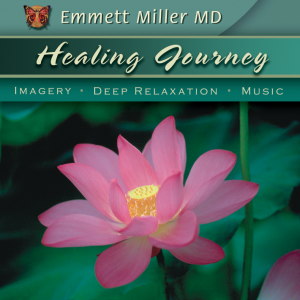 Using techniques drawn from meditative and prayerful disciplines as well as soothing music, the Healing Journey program helps melt away stress whether you’re anxious and overwhelmed by everyday life or trying to recover from a specific illness or chronic condition.